Founded in 1987, has established itself as one of the largest and most powerful developer/publishers in the industry. 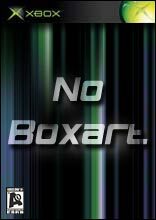 Although the company hit hard times during the 16bit era, they have since risen to new heights with a renewed focus on quality. With popular and critically acclaimed games like Re-Volt and Turok: Dinosaur Hunter, Acclaim has become an influential power on all of the major system. 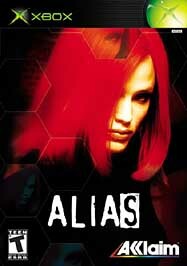 Alias is a third-person action adventure containing a unique blend of action and stealth that puts you under fire and under pressure. Whether you're up against the clock or being hunted by the enemy, fighting against the odds or fleeing for your life..
Acclaim's "All-Star Baseball 2003" features four time World Series Champion and All-Star game MVP shortstop Derek Jeter as well as authentic teams, stadiums, rosters and uniforms. With the skill of Acclaim and the power of the Xbox, console..
Acclaim Entertainment and Austin Studios create a home run with All-Star Baseball 2004, the next installment to the #1 baseball franchise. 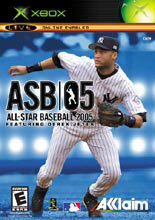 Featuring four-time World Series Champion Derek Jeter, ASB 2004 promises to deliver more than 80 features inclu..
All-Star Baseball 2005 gives you the most realistic "between the lines" game play experience ever with ASB05's exclusive FielderCam. The perennial best selling Baseball videogame franchise is more fun and accessible than ever before, packed with excl..
ATV: Quad Power Racing 2 is all about big tricks, big boots to the face and big finishes. It's arcade ATV racing like you always wanted it to be. ATV Quad Power Racing 2 combines 10 of the top pro riders in the world and 40+ real-life sponsors with t..
For the first time in the history of the Company's popular brand, ATV Quad Power Racing 3 will offer online head-to-head play for up to six players, complete ATV customization and an edit-a-rider functionality, providing gamers with the ability to pe..
Burnout reinvents high-risk racing with the only high speed, high-energy, pulse-pounding arcade style street racer on the Xbox. 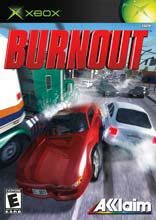 Based on real-life crash dynamics, Burnout’s action will leave you sweating, short of breath and totally in shock. H.. Created by Criterion Games Limited, Burnout 2: Point of Impact is the eagerly anticipated sequel to the award-winning racing game that was praised by consumers and the media for its realistic and dangerous handling and most importantly, its outrageou..
Back in the driving seat, Acclaim Entertainment today announced it will release Dakar 2, the all-action arcade version of the most radical endurance rally in the world, across all console platforms in February 2003. The game sees a radical departure .. Developed by Acclaim Studios Cheltenham, Emergency Mayhem will offer a humorous arcade-style video game experience, whereby gamers will take the helm of three different emergency services teams who are frantically racing against the clock to try and .. The Year 106AD the Roman Empire is in terrible decline. After the untimely death of the much-liked Emperor Trajan, the despotic Emperor Arruntius has bled the once powerful Rome to its knees. Badly fought wars, famine and plague are rife in all corne..
nterview with a Made Man is the first installment in an epic, high-action trilogy that will deliver the most authentic Mafia-based video game experience ever created. Interview with a Made Man is based on real-world events and will allow players to a.. Developed by Acclaim Studios Cheltenham, The Last Job lets players take control of a team of criminals who must get in, get out and get away with a series of intricate, action-packed heists where the stakes are high and mistakes can mean the differen.. The game tells the story of Tal'Set (from the first N64 Turok Dinosaur Hunter), the first dinosaur hunter, and how he came to take on the Turok mantle. The game features diverse environments include caverns, futuristic suspended cities, thriv..
On the forsaken remains that were once the proud planet called Astara, the villagers of Rockhaven lead difficult but peaceful lives, until the day the Shadowraith, "Dark Yabu," and his minions sweep down from the sky. With terrible ferocity.. In the future racing is faster - much faster. More dangerous - much more dangerous. And it's totally merciless, which means anything goes. Run by the XGRA (the Extreme Gravity Racing Association), this motorized bloodsport throws teams of futuristic ..